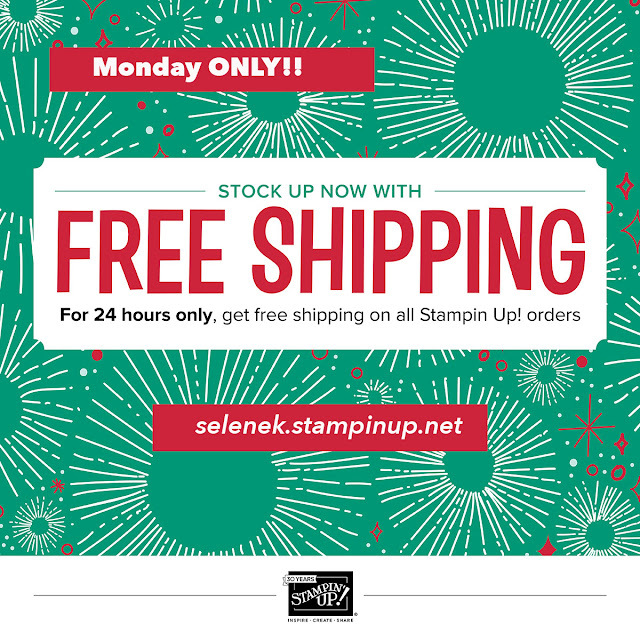 Reminder that Free Shipping is here! Free shipping is an awesome deal ~ like a 10% coupon off EVERYTHING, including the clearance rack and the year end sale! Do you need adhesive or envelopes? There's no minimum order. Today is a great day to pick up bigger items too. It's like saving 10% off the entire set of the new blends markers or a big shot! FREE SHIPPING, Monday December 11th, Big Announcement and New Product Announcement. The month of November was a whirlwind. I have had the opportunity to travel to Salt Lake City, Utah, with my husband and team. I waited a little while to share this online because I wanted to celebrate with people I stamp with regularly. I had my last regular group this week. So, now I can share! 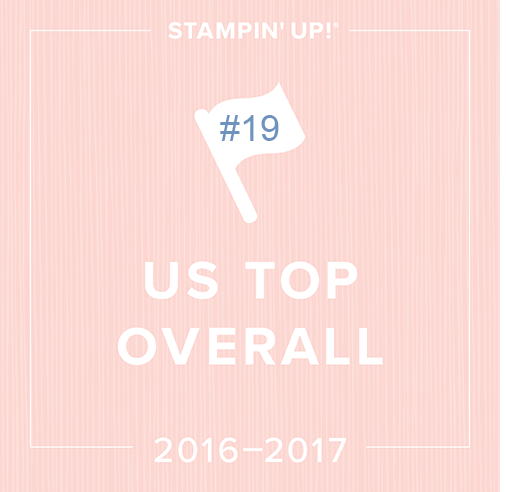 I also had a team member, Michelle Irinyi place #107 in the US and #203 globally after only being on my team for a little over two years! It makes me so happy to watch my team succeed and to keep my promise to them. I promise to walk beside them and so we did! We had so much fun! My team is about 85% happy shoppers and hobby stampers, so there's a place for everyone and we have TONS of fun together. We have a hopping little Facebook page that keeps us all connected with weekly training and access to a business builders group (which is separate from the main group) as well as an offer for a one on one monthly training call for those who need help with something they want to do in their business. Team meetings, card swaps and tons of fun with my stamping family! If you want to join our little family, click here for more details. The kit itself is still the best deal in the book at $125 in product for only $99 and always FREE SHIPPING. I'm pretty happy with the kit I bought once upon a time! 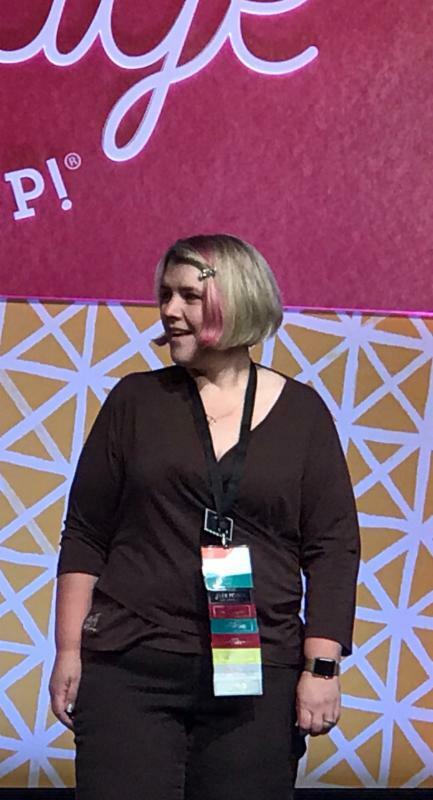 I am so full of gratitude for my team, for YOU, and for anyone that supports this business that allows me to work from home while my husband and I raise our daughter, Alexis. 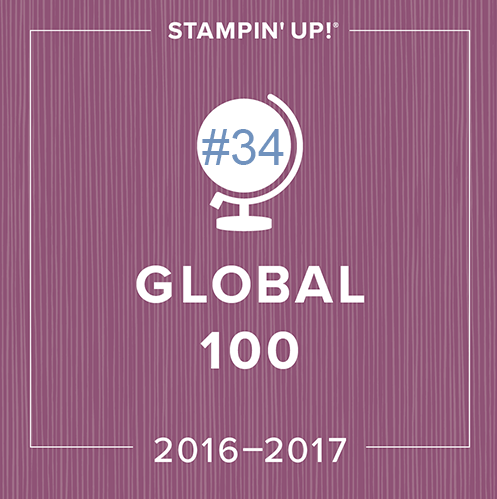 Stampin' Up has brought many blessings (friendships and more) to my life and I'm so very grateful. I just want to say thank you! 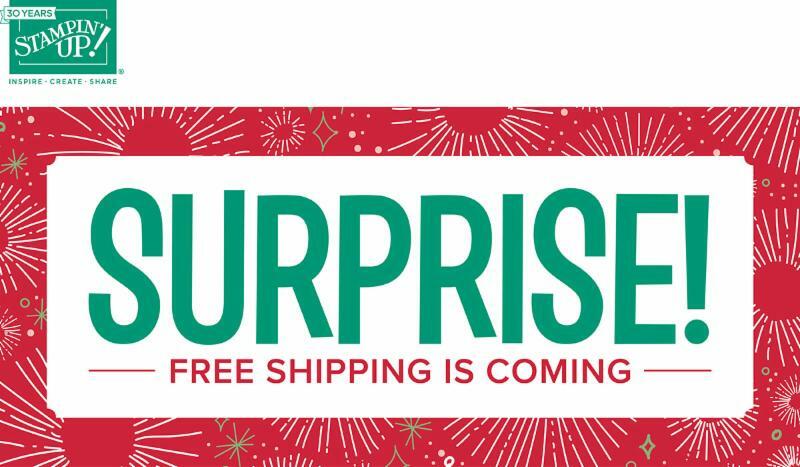 Free shipping is an awesome deal ~ like a 10% coupon off EVERYTHING, including the clearance rack and the year end sale! EVERYTHING IS WHILE SUPPLIES LAST. 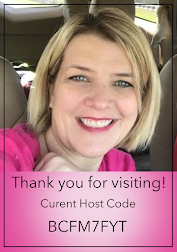 So, enjoy this little gift Stampin' Up, has given us and if you want me to place your order, just give me a call! Preorders for Stamparatus until Dec 31. I reserved my stamparatus on December 5! and will ship first come, first served, starting on or about March 19th. If you would like to reserve your own, here are the directions! 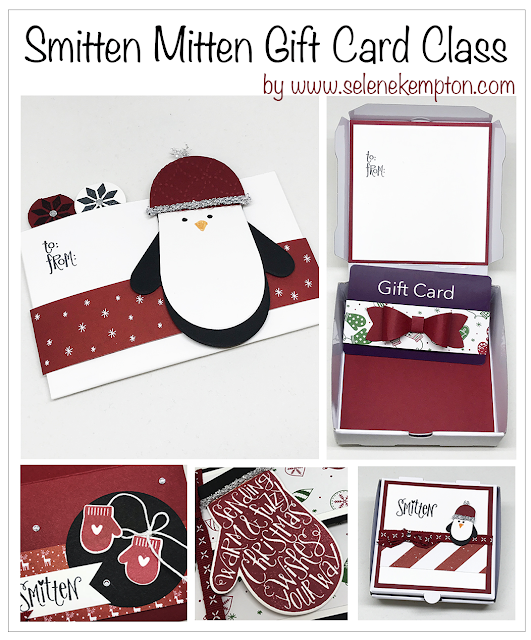 Last Chance to get the Smitten Mitten Gift Card Class! This is the last call to get this class delivered to you just in time for your holiday gift giving! This is my biggest selling class, EVER! I have made an extra 12 packets last night to accommodate the extra signups! Plus, I have a new date added to accommodate the overflow from tonight's sold out class! Take this class with me next Thursday, December 14th at 6:30 PM or get your kit to go! Email me for the link to sign up or just add yourself to my email list on the right hand side bar. Get the Kit to Go: Same price $15 or waived with a minimum order. I'll mail you the packets and email directions the following week (by Dec 14 ~ pending supplies availability). I will try to get packets out as early as possible this month to give you time to make up your treats for gifting! There will be some light cutting on this one so you can see how easy it is to make these gift card holders so you'll need a paper cutter if you're doing this one at home. You'll learn loads of new techniques, how to make your liquid glue re-sealable, we will work with the envelope punch board and more (that part will be all done for the to-go packets). Thursday's gift card class features the Smitten Mitten Bundle and these adorable penguins. The class is delivered to you just in time for your holiday gift giving! Don't forget to check out the year end discounted items!